Summary: Perhaps among the worst consequences of the anti-carbon crusade (fighting anthropogenic global warming and climate catastrophe) is the loss of confidence by the public in scientists and science media. Many scientists have become advocates first, scientists second — abusing the public’s trust to produce what they consider desirable public policies. Much of the science media — such as New Scientist and Scientific American — have become accomplices. Here’s a case study, valuable for several reasons. We will need science to guide us through the difficult years ahead, helping us to balance the conflicting needs of current growth, investments in the future, and protection against shockwaves. We need to have confidence in scientists, and the journalists who convey their discoveries to us. Their actions put this essential resource at risk. Today we look at one example. It’s useful both as an example of the skillful propaganda that fills our newspapers (from both left and right), but also as a look at an important climate change trend. In one US state, it is now illegal for sea level rise to speed up. Although climate models predict that sea level rise will accelerate over the coming decades, North Carolina’s state senate has passed a bill saying that its Division of Coastal Management cannot “include scenarios of accelerated rates of sea level rise”. The General Assembly does not intend to mandate the development of sea-level rise policy or rates of sea-level rise. … The Division of Coastal Management shall be the only State agency authorized to develop rates of sea-level rise and shall do so only at the request of the Commission. These rates shall only be determined using historical data, and these data shall be limited to the time period following the year 1900. Rates of sea-level rise may be extrapolated linearly to estimate future rates of rise but shall not include scenarios of accelerated rates of sea-level rise. This is a harder question to answer, because older records are incomplete. “It’s a hot debate,” says Simon Holgate of the National Oceanography Centre in Liverpool, UK. Some papers claim that the rise has accelerated over the 20th century, while others (often using the same data) say it hasn’t. “The overall sense of the community is that there’s a small acceleration, but there is a lot of noise in the signal,” Holgate says. … The best dataset is thought to be one compiled by John Church of CSIRO Marine and Atmospheric Research in Australia, and colleagues. According to a widely-cited 2006 paper, sea level rise has been accelerating at 0.013 mm/y2 since 1870 (Geophysical Research Letters, 2006). A more recent paper, from 2011, found a smaller acceleration of 0.009 mm/y2 using data that goes back to 1860 (Surveys in Geophysics, 2011). What is the evidence that sea level rise isn’t accelerating? After that accurate summary, New Scientist goes off the rails. … Holgate says the rise could be as much as 1.5 metres by 2100, but he says that is “an extreme upper end”. The linear rise mandated by North Carolina is the lowest possible, he says. That’s obviously false. Given the immature state of climate science, an 88-year forecast is speculative. The odds of 7 inch rise in sea levels by 2100 (vs. the historical rate giving an 8 inch rise) are not zero. The odds of no increase are greater than zero. Holgate says the consensus among his colleagues is that sea levels will rise about 1 metre by 2100. … However the rise will continue for several centuries after 2100. Stating a multi-century forecast as fact is clearly unjustified, beyond the state of current science. Last we look at the conclusion of the article, which misuses the research they cite. What is happening to sea levels in North Carolina? North Carolina actually has one of the world’s best records of past sea levels: extensive salt marshes. Because they were frequently flooded by high tides, their sediments record changing sea levels for the past 2100 years. Last year Rahmstorf and colleagues showed that sea levels in North Carolina have been rising at 2.1 mm/y since the late 19th century. This is by far the steepest rise seen there over the last two millennia (Proceedings of the National Academy of Sciences, 5 July 2011). What’s more, the salt marsh data suggests that sea level rise in North Carolina has accelerated. According to a 2009 study, the speed-up began in the late 19th century (Geology, November 2009). It’s a weak ending on several levels. Both references clearly describe the acceleration in sea level as occurring during 1880-1920 — before substantial human-caused CO2 influences. Neither study mentions any acceleration since then. 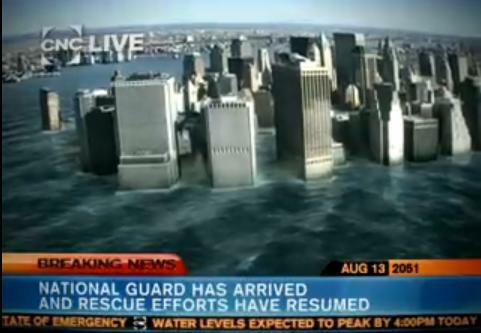 They estimate the rate of past sea level rise as 2.1 – 3.3 mm/year. That 0.2 – 0.3 meters (8 – 11 inches) during the rest of this century, compared to the 1.0 – 1.5 meters (39 – 59 inches) forecast assuming the start of another period of acceleration. Which is correct? The article provides no basis for laypeople to decide, as the evidence remains uncertain. A second increase in the rate of sea-level rise occurred around AD 1880–1920; in North Carolina the mean rate of rise was 2.1 mm/y in response to 20th century warming. This historical rate of rise was greater than any other persistent, century-scale trend during the past 2100 y. The measured rate of relative sea-level rise in North Carolina during the twentieth century was 3.0–3.3 mm/a, consisting of a background rate of ~1 mm/a, plus an abrupt increase of 2.2 mm/a, which began between A.D. 1879 and 1915. This acceleration is broadly synchronous with other studies from the Atlantic coast. links to a wide selection of general media articles since 2000 about Science & Climate. Be afraid. Fear makes you easy to manipulate. Previous Post More death throes of the Constitution. Nothing remains in the ruins but politics. Next Post Is 4GW magnifique? 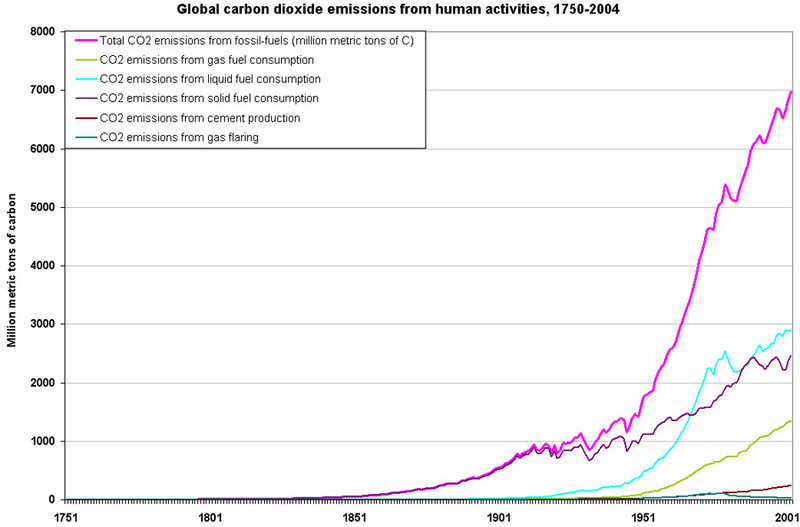 As I recall, CO2 emissions had begun rising dramatically by 1880, as the Industrial Revolution was well under way. Good question. Direct measurement of atmospheric CO2 starts in 1958 at Mauna Loa observatory (see Wikipedia for the history and NOAA for the data). Estimates of levels before that rely on indirect measurements, such as trapped air in ice bubbles. I think the main point behind the article in New Scientist was that the NC Legislature was trying to dictate specifics of Oceanography/Climatology for which they were not completely qualified. It would be much less of an issue if they simply deferred policy decisions to the results of expert analysis, rather than mandate a linear extrapolation that may or may not conform to actual observations. Still, your main point is valid that sensationalism detracts from the effective dissemination of scientific understanding. For example, see ‘An Inconvenient Truth’. Al Gore thinks his movie informed the masses about climate change, but all it really did was transform the issue into a political one. Now people debate climate change science the same way they debate taxes and gay marriage. 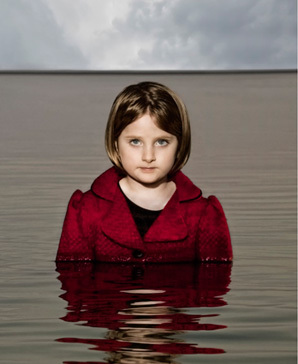 Al Gore cried wolf and now a large section of the public no longer trusts science in general. There is no gold standard to answer such things, but their decision seems reasonable to me — to require use of historical data, rather than untested models, for making public policy decisions. That’s well within their authority and competence. Especially given the debate about the validity of the models. Sensationalism: The use of exciting or shocking stories or language at the expense of accuracy, in order to provoke public interest. I don’t believe sensationalism well describes the New Scientist article. It was outright propaganda, combining misrepresentation of the research and ridicule of a reasonable viewpoint in order to discredit it. Scientific opinion is a commodity. 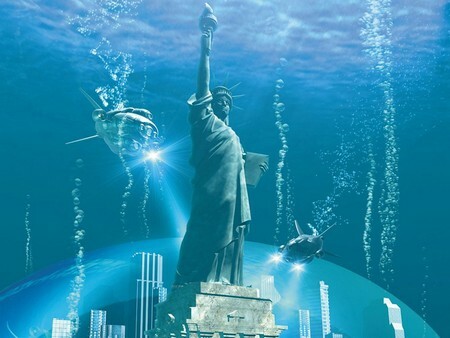 I don’t believe the biggest fear for man-made climate change believers is the sea level rise as it is the increasingly unstable climate and therefor weather (continuous record breaking heat, wildfires, tornadoes, hurricanes, floods and what have you). I want your side (and sources) to THIS. sea level rise doesn’t interest me much. Did anyone say that it was? There is little evidence that there is an increasingly unstable climate. Like the “accellerating sea level rise”, its just hype. Lots of media attention to normal weather variation. Many of the claims (eg, increase hurricane and tornado activity) are clearly false.